Click here to see a short preview of the DVD. 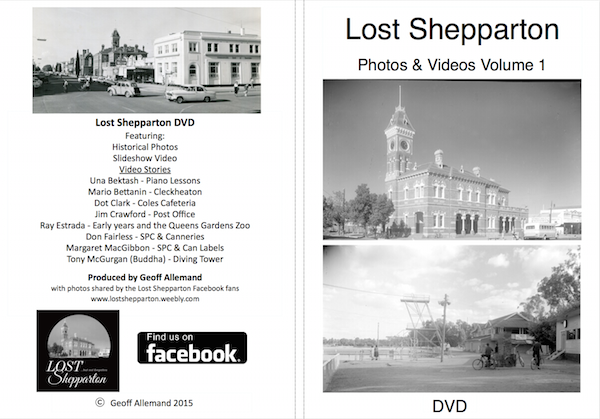 Over the past 2 years I have collected many wonderful historic photos of Shepparton and a number of videos of locals talking about their growing up years here. This DVD is the first in a series of volumes that will be produced so you can sit back in the comfort of your own home with family and friends and take a trip down memory lane. Available now at Focus Cards and Gifts in the Mall next to Shepparton Camera House. Or purchase online by clicking the link below. Click photo to enlarge the DVD cover.